I met with first-time feature director (and playwright) Marja-Lewis Ryan and producers Samantha Housman and Ross Dinnerstein, of the new Netflix feature 6 Balloons (which I also reviewed, and which comes out online on April 6), on Monday, March 12, at the 2018 SXSW Film Festival. The movie tells the harrowing tale of two siblings caught up in the brother’s heroin-addiction woes. 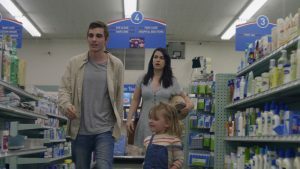 Abbi Jacobson plays the responsible sister, compelled by a long history of codependency to help brother Dave Franco get the fix he needs, all while his infant daughter rides in the car with them. Brilliantly shot and edited, the film is a marvel of cinematic efficiency and evocative artistry, with all involved turning in excellent work. Here is a condensed digest of our conversation, edited for clarity. Hammer to Nail: So, Samantha, I read, in the press notes, that the script for this film is based on events in your own life. Could we start, then, with the origins of the story? Samantha Housman: Marja came to me. I wasn’t like, “Oh, hey, this thing happened to me, let’s make a movie about it.” (laughs) It was more like (speaks quietly), “This thing happened to me and it was the worst thing in the world.” But really, it’s all Marja. SH: We’re friends. We’ve been very good friends for like 12 years. Ross Dinnerstein: They’re not lesbians with each other. M-LR: No, no, no, no, no! RD: They’re both married to other women. M-LR:…saw me from across the room. M-LR: She was, like, two-thirds right. HtN: So, how did this story then develop. You’d heard this, Marja, now what made you want to start writing it? M-LR: Well, the story had stuck with me, because Amy is one of my dearest friends in the whole world, and it was an incredibly painful time in her life, as I’m sure you could imagine. And then, as the opioid epidemic grew, that story stayed with me, because I wasn’t hearing that story. And I was like, “That doesn’t make any sense,” because this story must be happening. There were all those photos coming out of addicts in the front seat of a car, passing out, with their baby in the back. It was so brutal to see that. But then we were also missing half of the story, which is the enabler’s story, the story of learning to let go with love. That felt like something I hadn’t really seen before. Except maybe in…what’s that Meg Ryan movie? When a Man Loves a Woman! That’s the only time, because it’s really his story, there. RD: Tough movie to watch. M-LR: Tough movie to watch. SH: Tough movie to watch! M-LR: But that’s why, I think. It’s hard to relate to a heroin addict. It’s hard for me to understand. But in our film, she’s just like me, and I’m like, “Oh, you’re just like me.” So that, I could start to understand. HtN: If a movie handles addiction properly, I think it’s almost always hard to watch. RD: Right. There’s no happy end. HtN: If they’re fun to watch, then it’s probably not a good movie about addiction. Although I could be wrong! I’d love to see this amazing rom-com that also gets addiction right. (laughs) I lay down the challenge! SH: All right! It’s on the table for Marja! HtN: OK, then! So, Mr. Dinnerstein, what is your involvement in all this? I understand now why Marja and Sam work together. What about you? RD: Sam and I work together, and she brought the script to me, and I remember where I was when I read it. I had an emotional response to it. It is definitely different than a lot of the films I have made, but I felt like it was a very important film, and I promised both of them that I would figure out how to get it made. Luckily, the first place we took it to wanted to make it, and I have a long-standing relationship with Netflix, and this seemed to fit really well. They really responded to the script. Marja, Sam and I had a great meeting with them, and we were rocking and rolling. It shouldn’t be that easy! It never is that easy. But that speaks for the material and for Marja. HtN: Cool! So, let’s talk about the casting. How did you choose Abbi Jacobson, Dave Franco, etc? M-LR: So, I had always thought of Abbi, even when I was writing it. I love watching comedians making dramatic turns. There was always something about her. She plays like a straight man on Broad City, so you can actually see her clearly, even through the absurdist moments. She always just felt like us. If she were sitting here, there’s something that we all sort of share, like a collective voice. And I do write funny people in dark circumstances, and she really understood that. She could really pick up on the comedy, and like lean in to it, almost. And that makes a huge difference, because it is brutal to watch. It also gave Abbi and Dave this shared sense of history. It’s hard to pretend that you’ve known each other all your life, when you just met two weeks before you started shooting, but they sound similar, ‘cos they’re funny. They make each other laugh, in a real way. HtN: I definitely believe their rapport. Now, how do you convince parents to let you cast their young twins to play Dave Franco’s child in a film about heroin addiction? SH: A dream come true. M-LR:…why the story is so important, and they also really trusted us. Those kids never saw anything. Like, that bathroom scene seems really scary. M-LR: But while we’re watching it form this really gorgeous overhead shot, that little girl is sitting there with Abbi, and she’s like (speaking in baby voice), “What Dave doing in there? I’m hungry!” And she’s just living her life, you know what I mean? And then Dave comes out and wants to play, and she’s like, “Oh!” And that’s all real. But when we’re watching it, it looks horribly sad, because we just saw what happened in there, so I think that those kids and the parents were fine. RD: I’ve made a lot of movies with kid actors, and the parents are as important as anything. RD: But also, it goes to Sam and Marja just being able to work with young kids and having the tolerance to do. There’s not a lot of margin for error in indie filmmaking, and so working with kids is kind of frowned upon, because it’s so hard to make your day. And here, their performances are amazing, which just shows how good of a job they did, along with their patience and stomach to handle it. RD: As parents – Sam and I are both parents of young children – those kids are special. All due respect to our kids, they couldn’t have done that for one minute. HtN: They’re really natural on camera. SH: And you looked exactly alike. M-LR: It’s my own ego! Sock it to me! We’re on the same page, me and those twins. HtN: So not only did Abbi remind her of you, but so did the kids. SH: Anybody who works with Marja, basically looks like her. SH:…looks like Marja’s brother, yeah. HtN: Speaking of the casting, I really liked the woman who played the pharmacist. I thought she was great. SH: Did you really? Did someone tell you to say that? HtN: No! I liked her! Why? M-LR: She’s the lead actress in all my plays. HtN: I didn’t know that. RD: She stole the table-read! M-LR: Yeah! Like when you’re watching a play. SH: ‘Cos she’s that good! SH: She’s in one of the last scenes in the movie, with Jeff Bridges. RD: She’s a uniformed cop. M-LR: Yeah! She’s quite something. It’s like our 8th collaboration. HtN: So, can you talk about your strategizing for both those aspects? M-LR: “It’s all right. It’s OK. Right!” And then she calls people the wrong name. M-LR: She’s like (English accent), “Rebecca!” (normal voice) “No, it’s Sarah.” (English accent) “OK! Can you, um…” (laughs) Wonderful … She’s just so special to me, and it was a really beautiful working relationship, because I had never directed a movie before. So, I needed someone who could, like, give me the words when I don’t have them. And she was very patient, and very smart. M-LR: Yeah. And I was like, “Do you?” And I had to leave that day, and I’m driving to my next meeting, and I’m thinking, “There is no way that that man understood what I was saying. I mean, I barely understood it. It was just a feeling that I feel.” (laughs) And I came back, and that f***er did it. (laughs) So, it was pretty special. 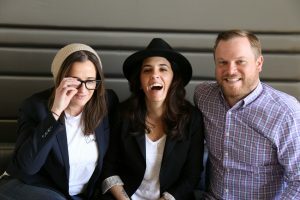 I had a couple of really special people working with me, who seemed to understand what I was trying to say through the limited number of words that I had. HTN: Well, great job! I really enjoyed the film. Congrats!